Welcome to Pixel Box Photo Booth! The Omaha metro's most advanced photo booth. Pixel Box Photo Booths is dedicated to delivering a one-of-a-kind and FUN experience at your next event. We service the Omaha, Nebraska Metro Area and beyond! Pixel Box specializes in WEDDINGS • CORPORATE EVENTS • HOLIDAY PARTIES • GRADUATION PARTIES • BIRTHDAYS • QUINCEANERAS • BAT/BAR MITZVAHS • SCHOOL EVENTS • FUNDRAISERS • REUNIONS • POST PROM PARTIES • PROMS/HOMECOMING • CARNIVALS • NON-PROFIT EVENTS • AND MUCH MORE! Our booth has an open-air design that can accommodate up 10+ guests at a time. 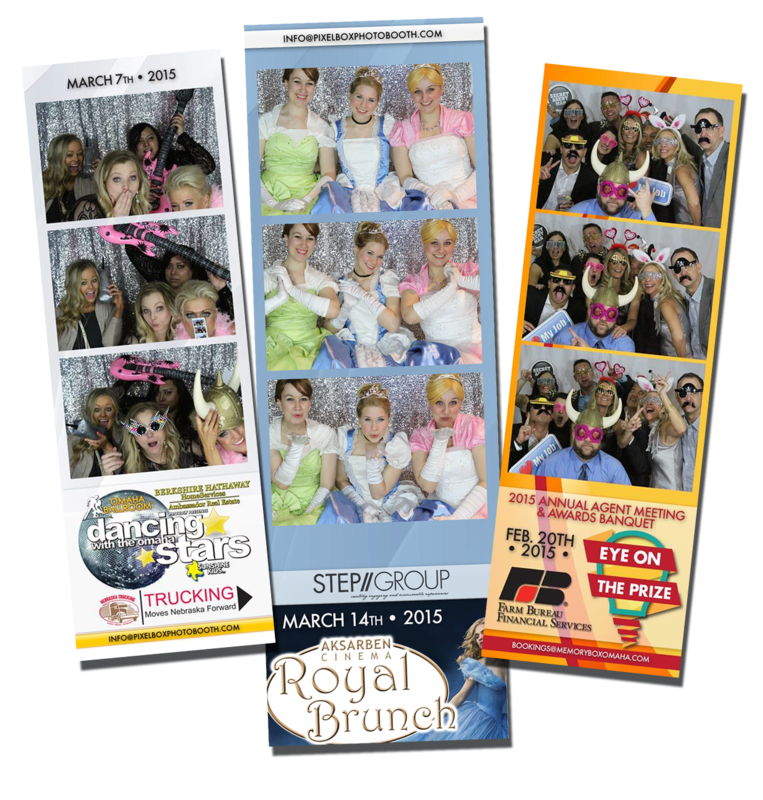 We can create a custom photo strip background with your very own color theme and logos, making a great souvenir of the night. WE use the most advanced technology to deliver high quality photographs to your guests that they will cherish. If you have never had a photo booth at your event you are missing capturing a ton of memories. It not only did that it heighten the energy and built a lot of morale. I know that I will not throw away any of these photos from that night. I will tell you that they are a class act and they are passionate about helping your events be perfect.